Ok, I don't know why it looks like cheapo gloss in the pic above but it doesn't look like that in real life! This is the true colour. Shimmers are fine and really pretty, not chunky. Colour is coral-like but appears slightly pinker on my lips. It's sheer and shimmery, delivering a light layer of colour. 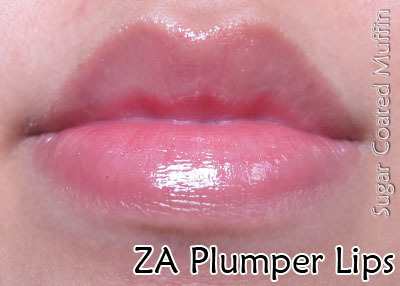 I'm not so sure about the plumping effect but it's moisturizing and erases my lip lines. It's not very sticky and feels quite light on my lips. There are 10 shades for this lip gloss. I'm eye-ing strawberry soda and sheer peach but I seriously shouldn't be buying any more lip stuff.. =/ This shade actually reminds me of the NYX Round Lip Gloss in Peach. The shade is similar but this is thicker, more shimmery and darker. 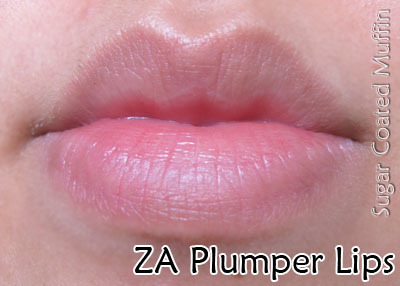 Product says : Give your lips perfect clarity and depth with our new lip items. Fill-up collagen replenishes your lips with rich moisture while Plump-up pearl , with its light diffusing effect, makes your lips look incredibly plump and smooth. My conclusion : This gloss is okay.. At least it doesn't dry my lips out =) I'm not too happy with the shades available though. It's almost 3 times the price of NYX but I'm convinced that this lasts longer and looks better.